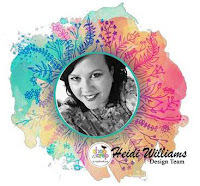 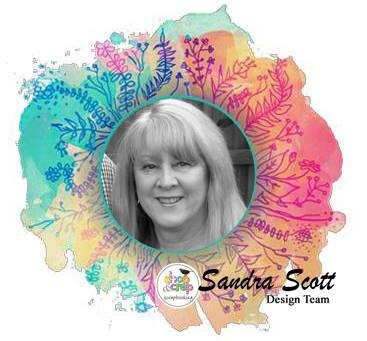 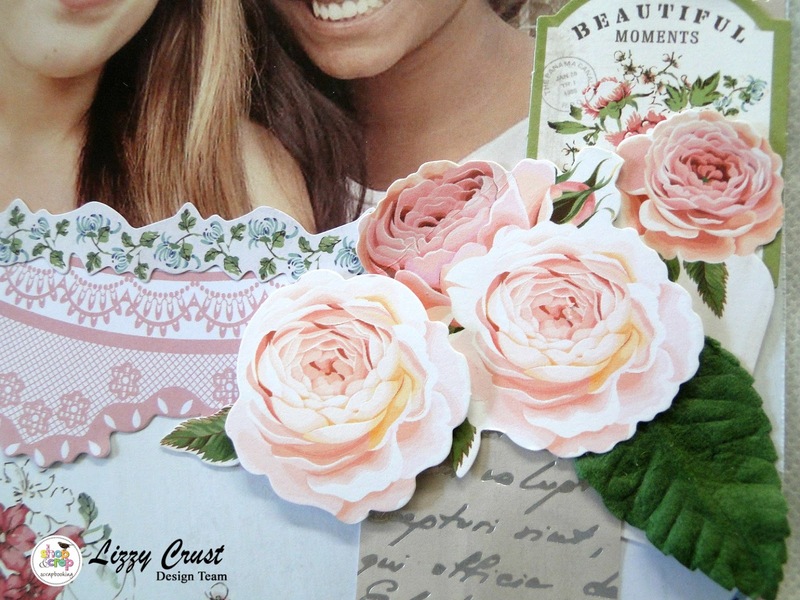 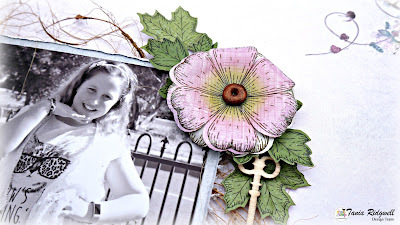 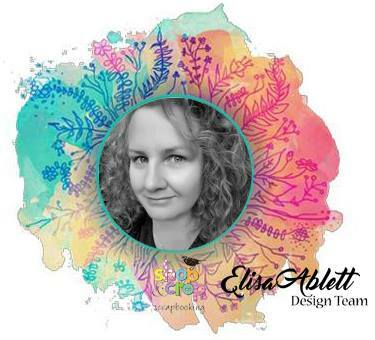 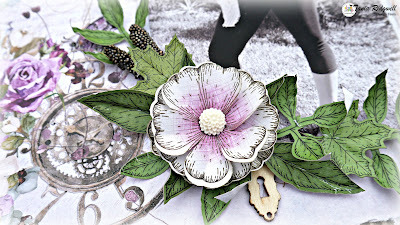 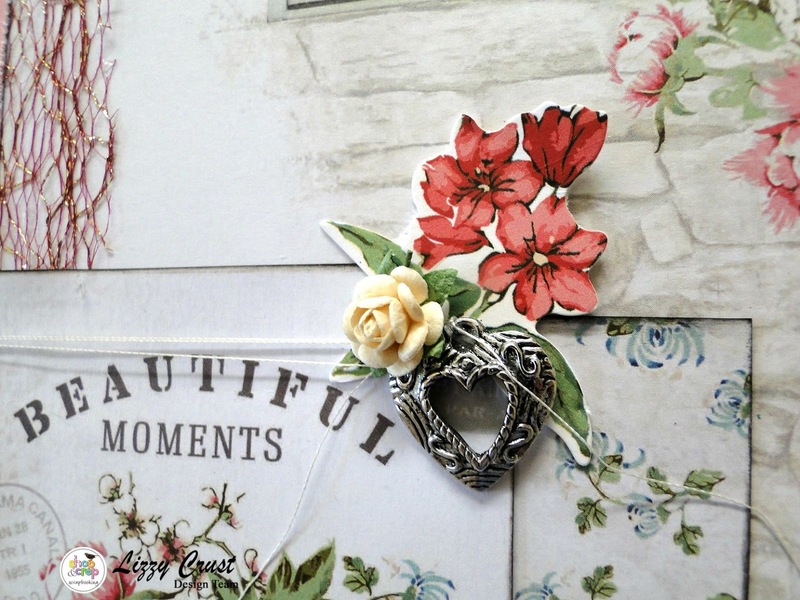 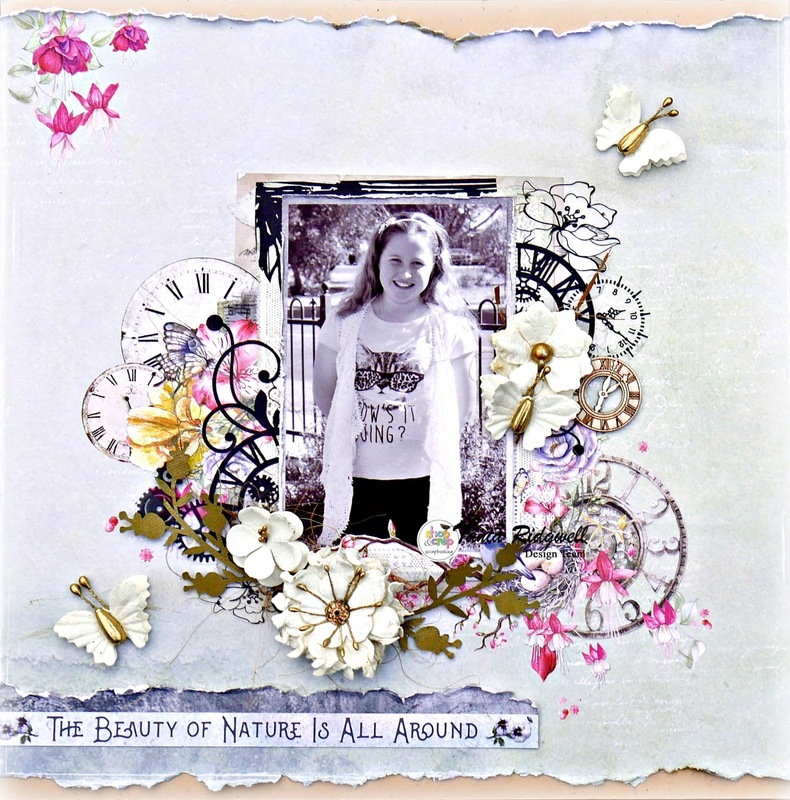 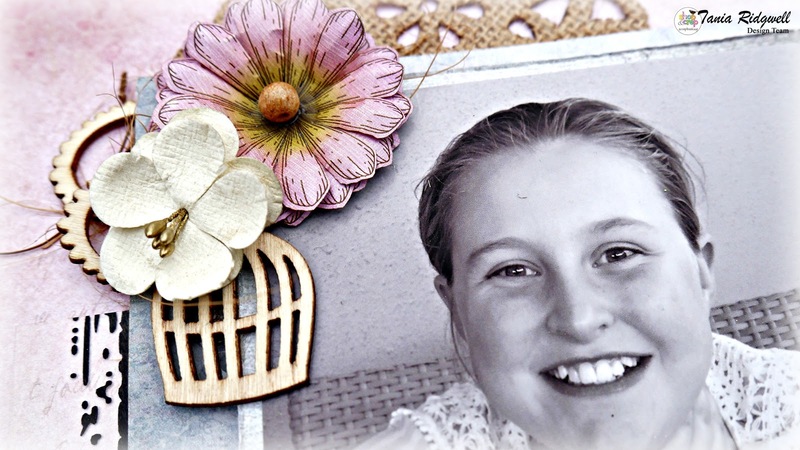 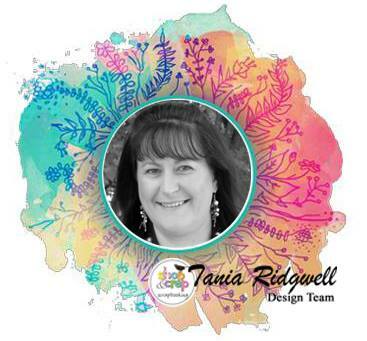 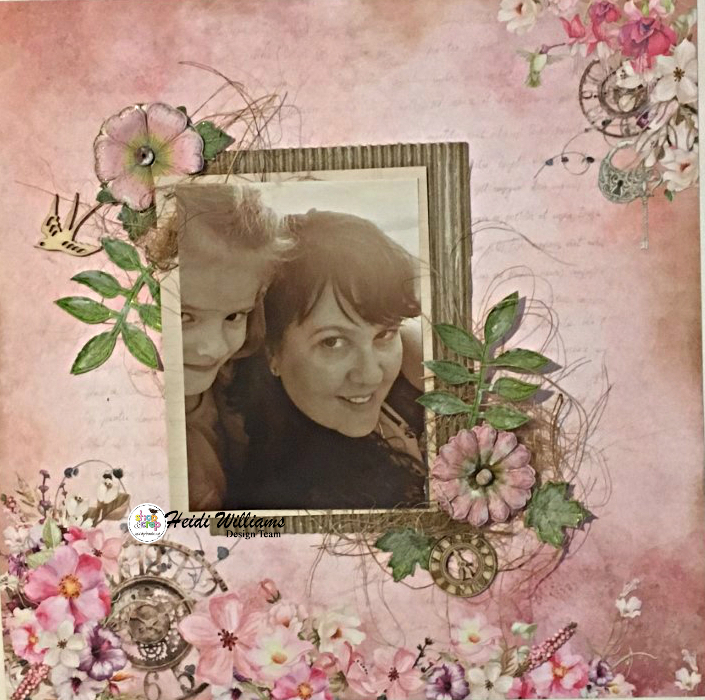 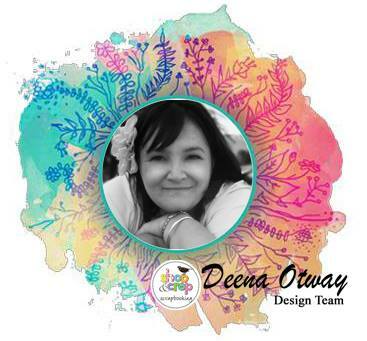 Elisa here from the design team with my latest creations for Shop and Crop Scrapbooking. Did you know that if you place an order with Shop and Crop Scrapbooking you can use the code EA5 at the checkout to receive a discount ! 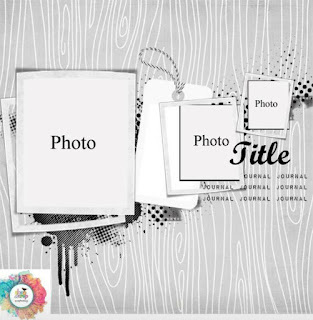 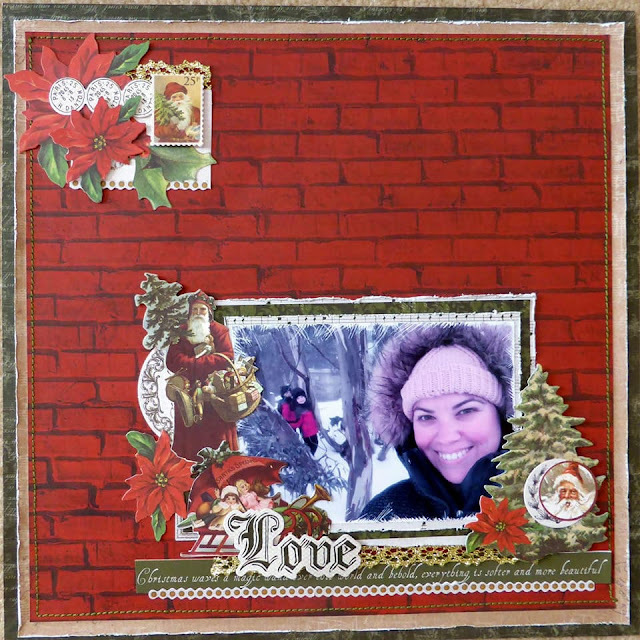 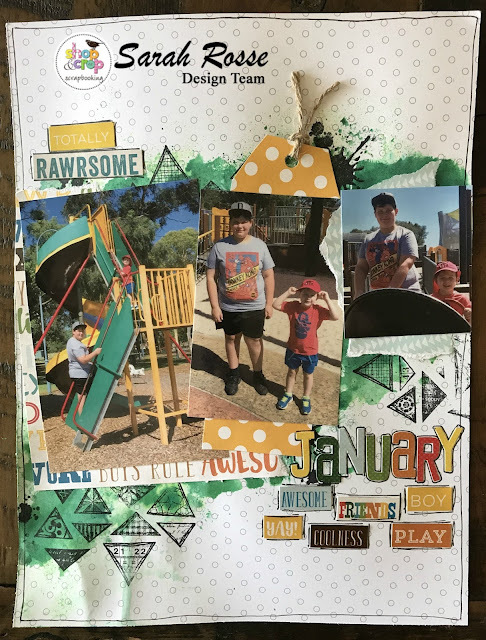 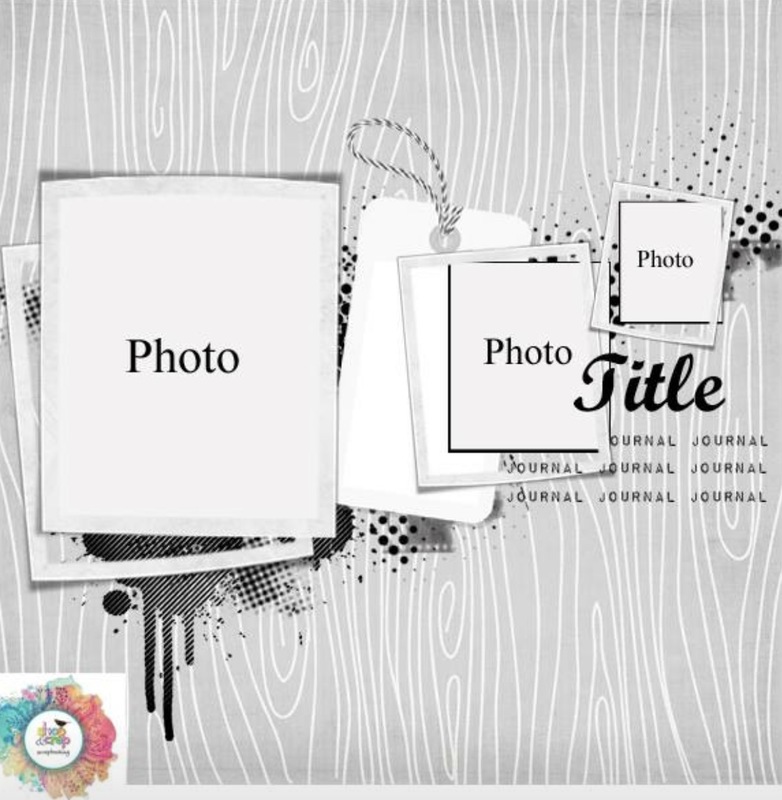 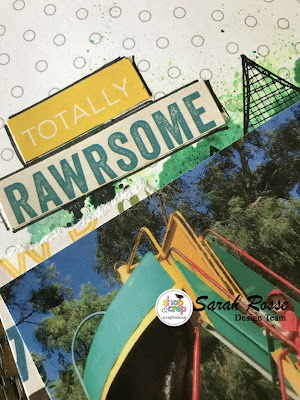 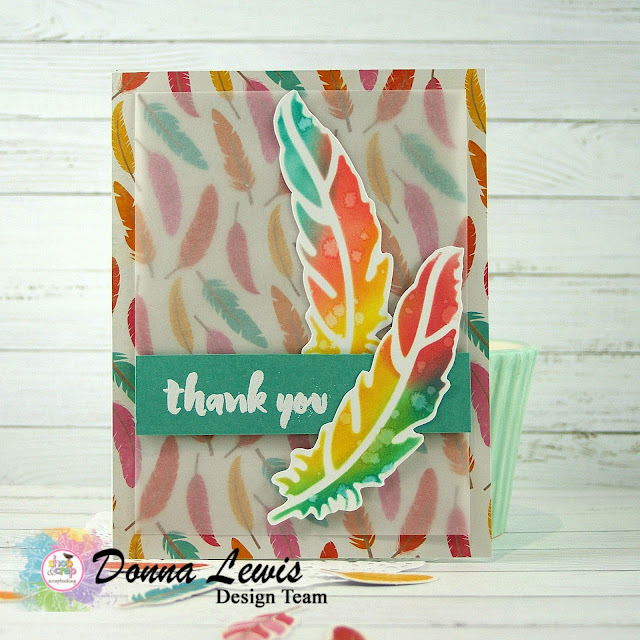 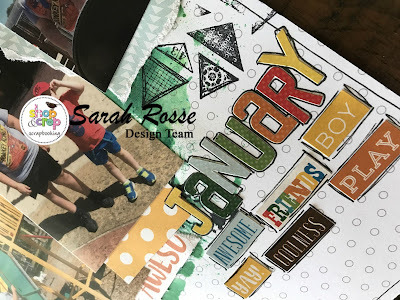 Today I am sharing with you a layout I created using the We R Memory Keepers (High Five Collection) from the we-r-memory-keepers-high-five-collection-bundle-kit that is available from the Shop. 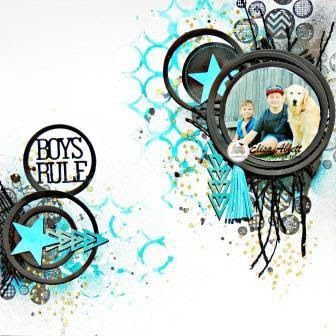 This bundle is awesome as you get the full matching kit and embellishments, perfect for those boy layouts! 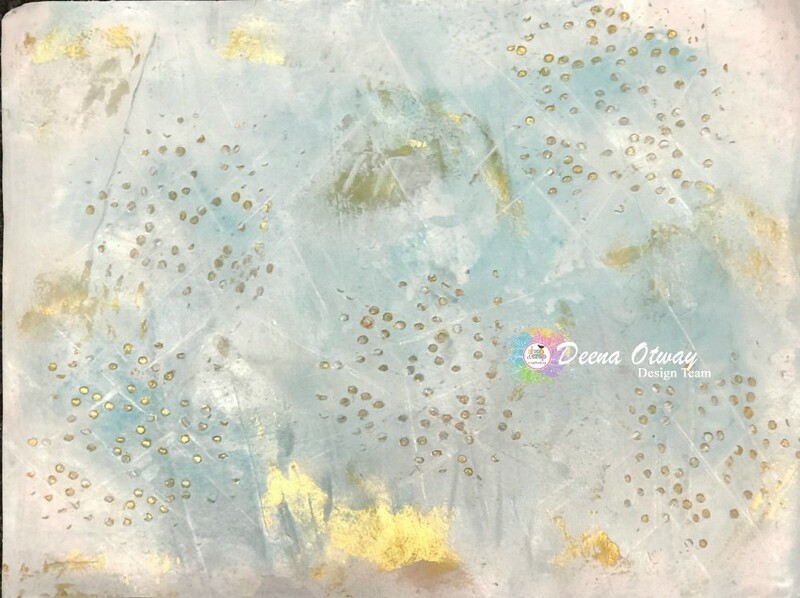 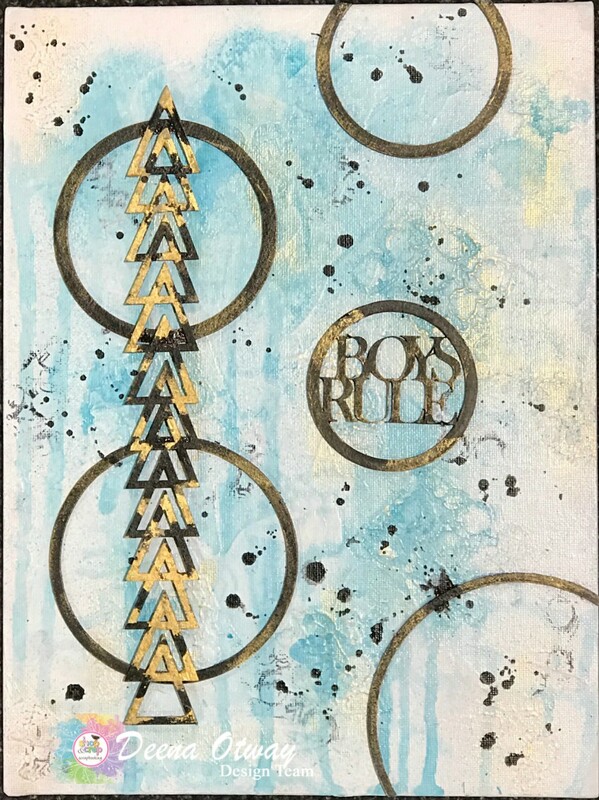 I am also sharing a mixed media tag using the leftovers from Expo Kit No.9 and Distress Ink Oxides which are also available from the Shop in an amazing bundle deal! 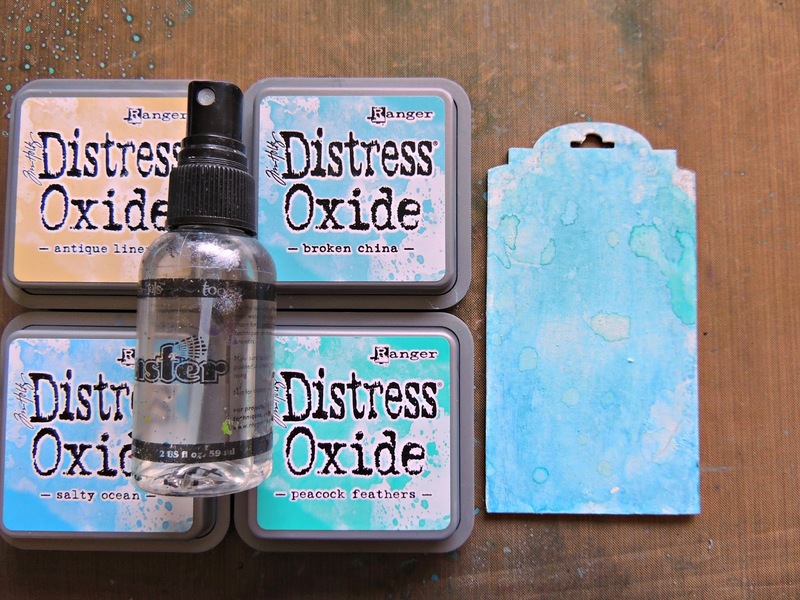 Kylie at Shop and Crop is doing a deal on the entire first set of inks for $100. 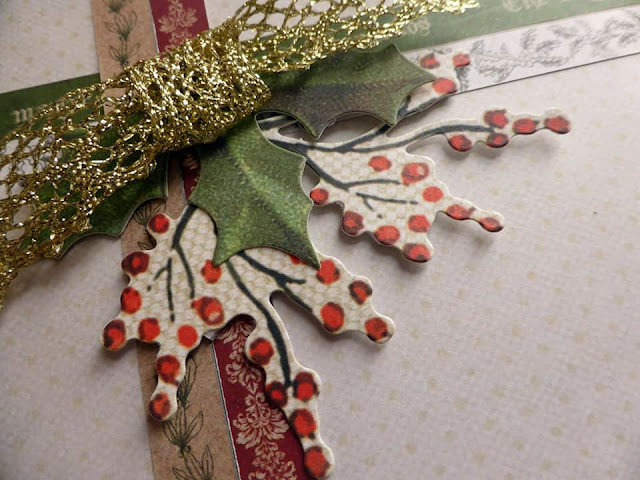 If you use the code EA5, you can get a further $5 off. It truly is the best bargain on this complete set i have seen out there. 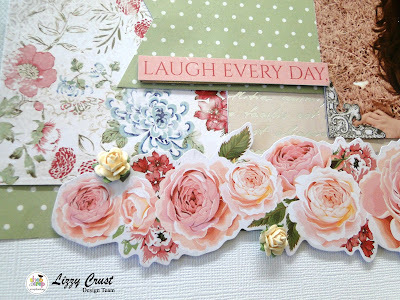 I've ordered a set! the same deal is available on Set 2. To achieve the watercolour background look I used water and Broken China Distress Stain and also splashes of Black Dylusions Spray. 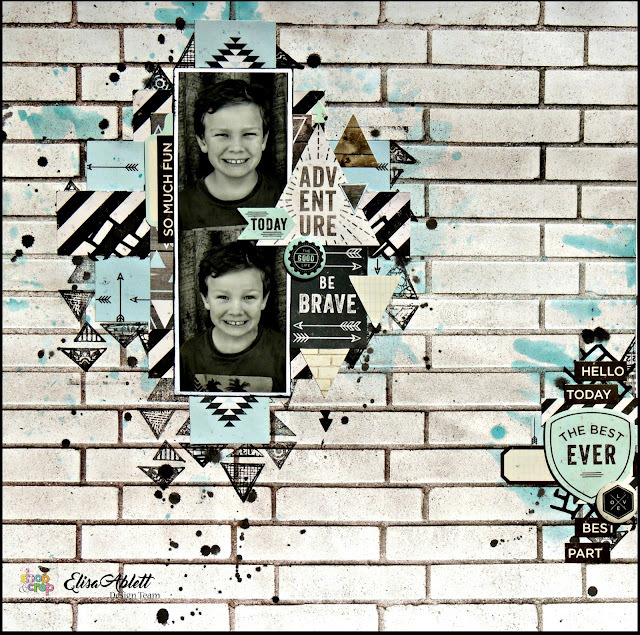 Then I added stamping with this amazing Arty Triangles stamp from Darkroom Door. I also used a texture die cut from Kaisercraft. 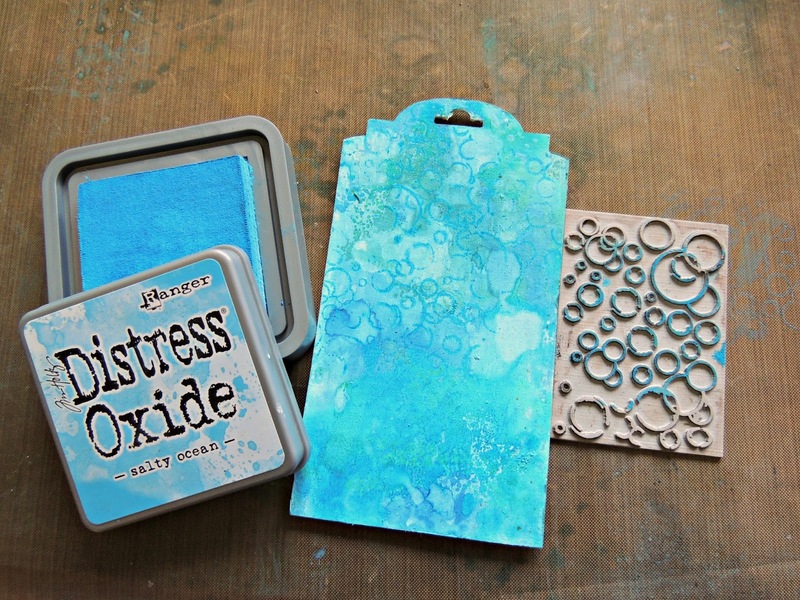 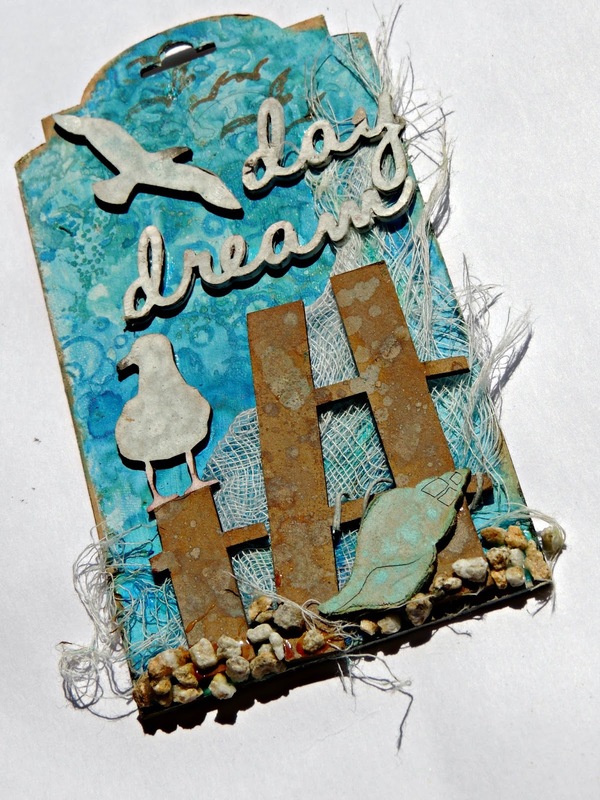 Now onto my mixed media tag using the Distress Ink Oxides and the leftovers i had from Expo Kit 9. 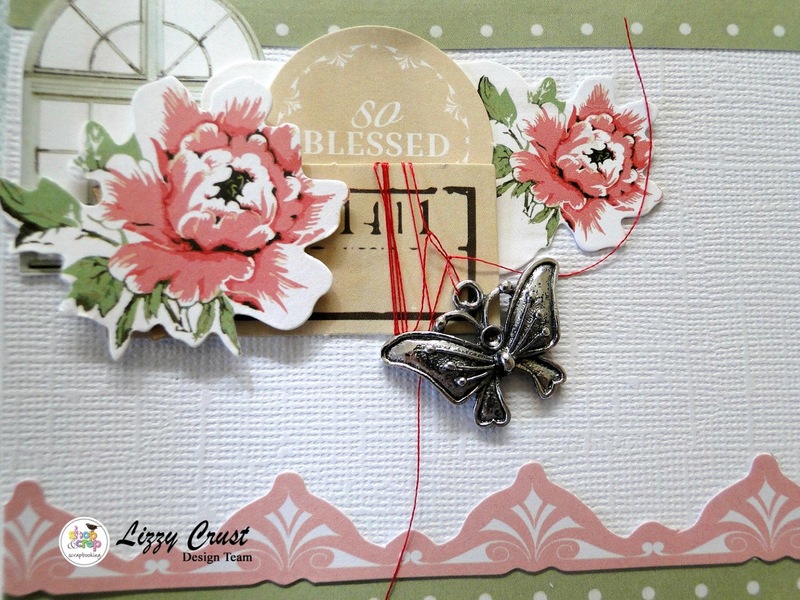 I SO LOVE these stamp pads, they are a must have item. This is the finished result, I have included a small tutorial so keep reading! I wanted to share a step by step tutorial with you on how I created the background using the Oxide Ink pads. 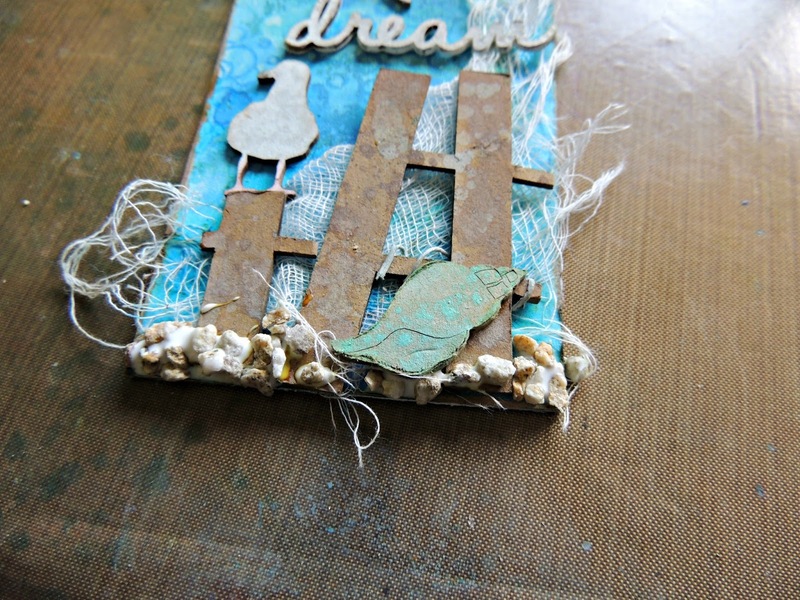 Firstly I chose my favourite beachy colours Salty Ocean, Broken China, Peacock Feathers and Antique Linen and grabbed my spray bottle of water. 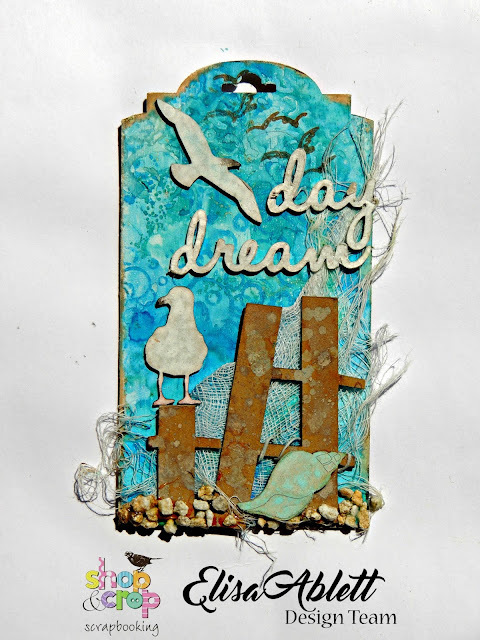 I gesso'd my mixed media tag and other chipboard pieces and let them dry. 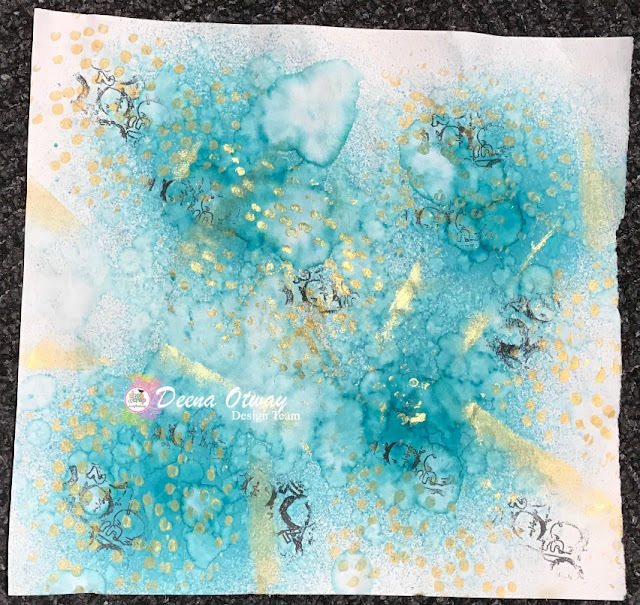 Firstly I laid down my first colour by rubbing the inkpad directly onto my craft mat and then spraying liberally with water, then I dipped the tag upside down into the large droplets of colour, creating water patterns on the tag. The awesome thing about the Oxides is that you can layer the colours on, one by one and they dont produce that horrible mud colour you get with watercolours, when you mix colours together!!! 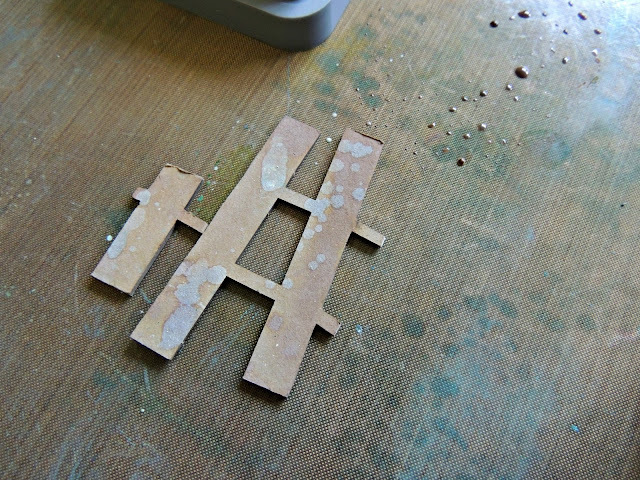 So keep layering your colours on your tag and dry with a heat gun in between. 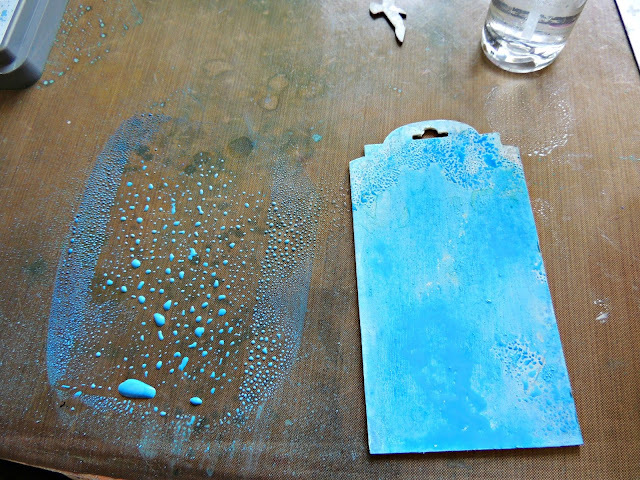 Next step is to drop large droplets of water directly onto your tag from a large paintbrush and dry immediately with a heat gun, it produces these lovely bleached circles on your tag. Another technique you can use is to apply the inkpad directly to your chipboard which causes the colour to deepen. 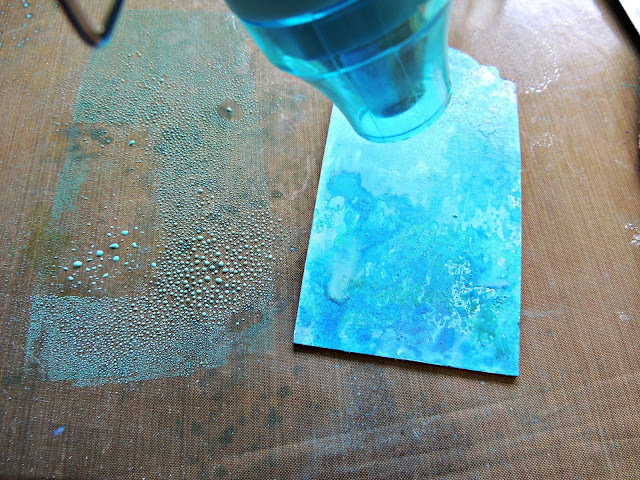 Then add droplets of water over the top and dry immediately. 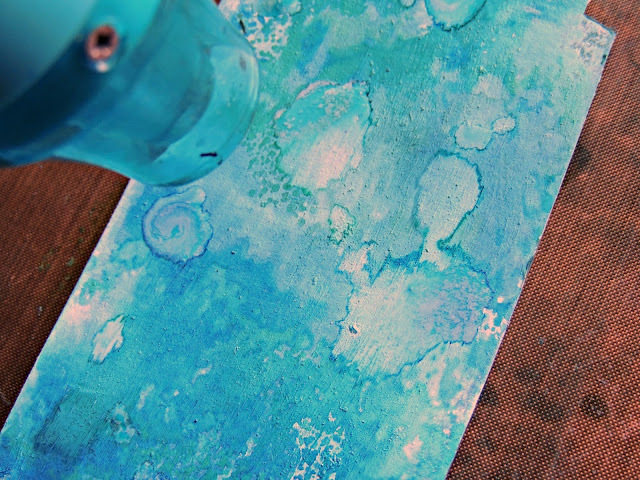 Onto the last step for your background on the tag! 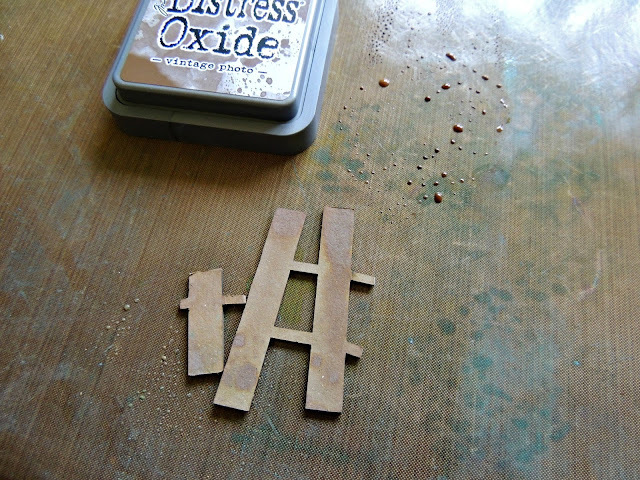 Stamp using the oxide inkpads onto your tag, you will get the lovely deeper colour. 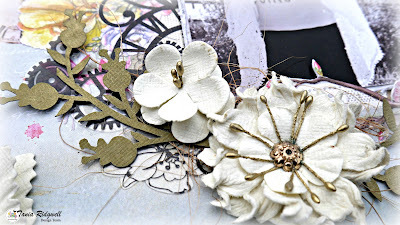 Here are some close ups of the finished tag! 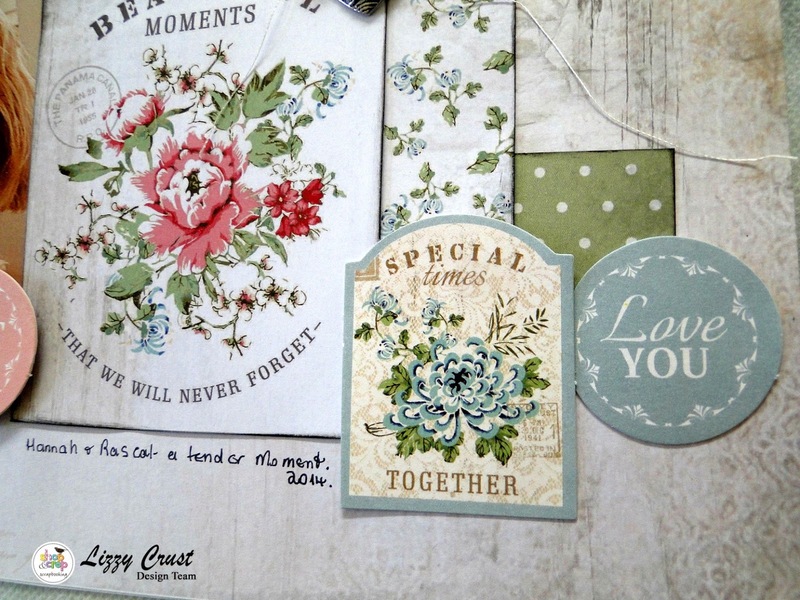 this is a part of the cropoholic kits we have available in store. 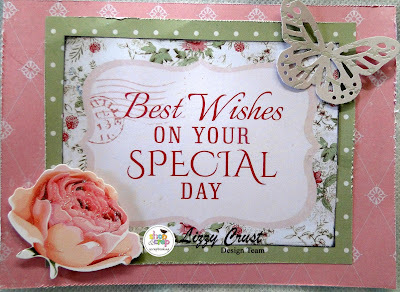 Hello there Shop and Croppers! 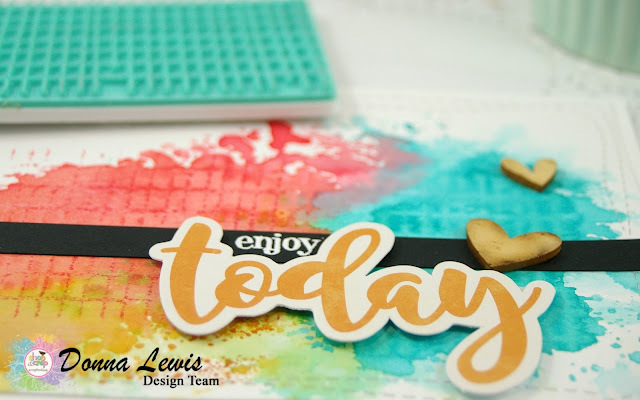 How is your day going? 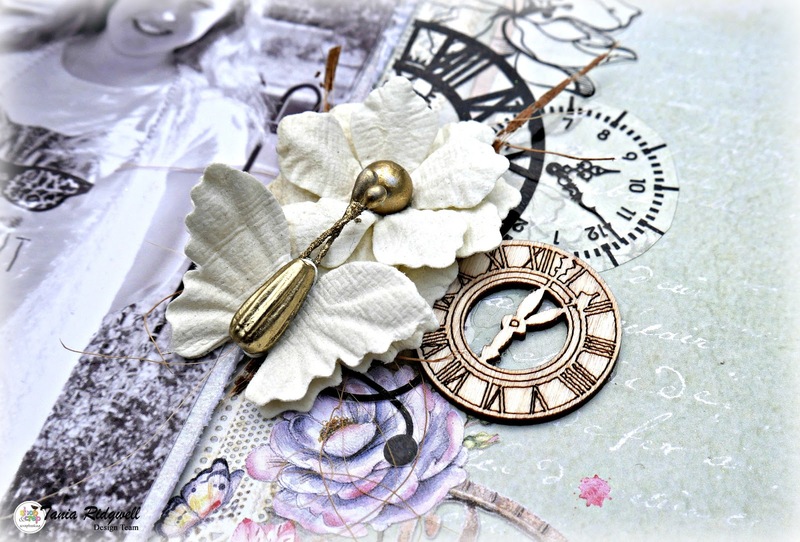 Can you believe how fast September is going? 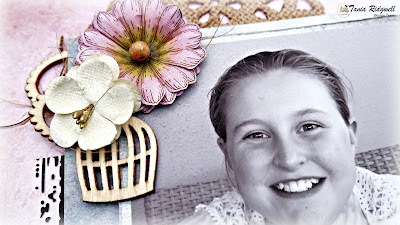 It is crazy!! 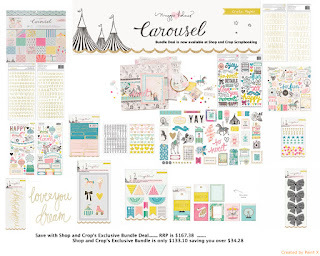 And here I am, showing you some sneeky peeks at the wonderful Kaisercraft October Kit which you can find in the SHOP AND CROP KIT SUBSCRIPTION SECTION IN THE SHOP! 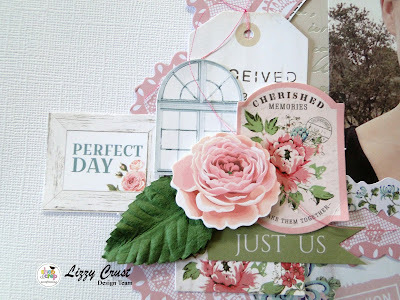 Now trust me when I say, this is such a pretty Kit and I was just blown away by the gorgeous things in this kit.. 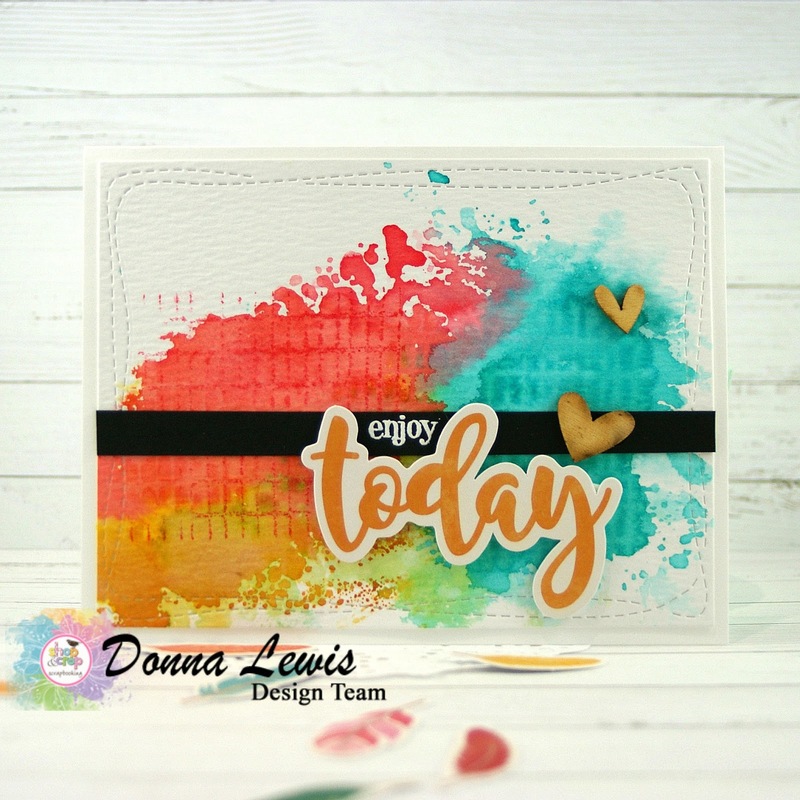 I have created 3 layouts with instructions, yes 2 layouts and a bonus layout with instructions, and I can only show some little peeks, but I am sure this will be enough to get you inspired to put this kit on your list for October scrapping!! 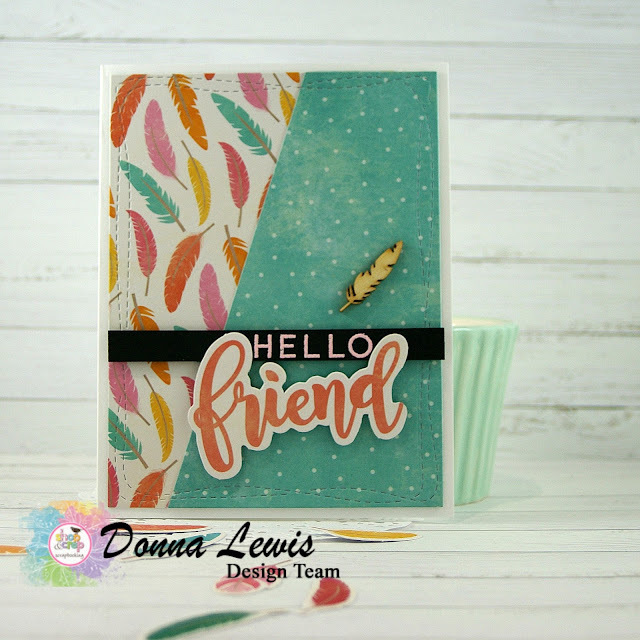 There was also lots of product left over for more creating, so I created two simple cards that I am sure will come in handy sometime to send off to a special someone. So take a little look at these closeups, and do yourself a favour and put this kit on your list! 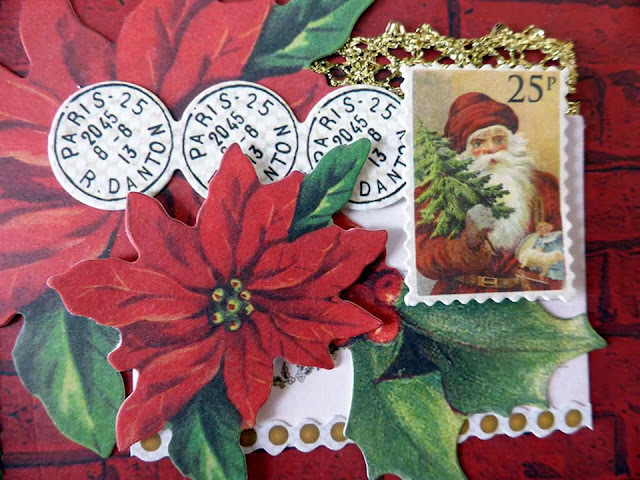 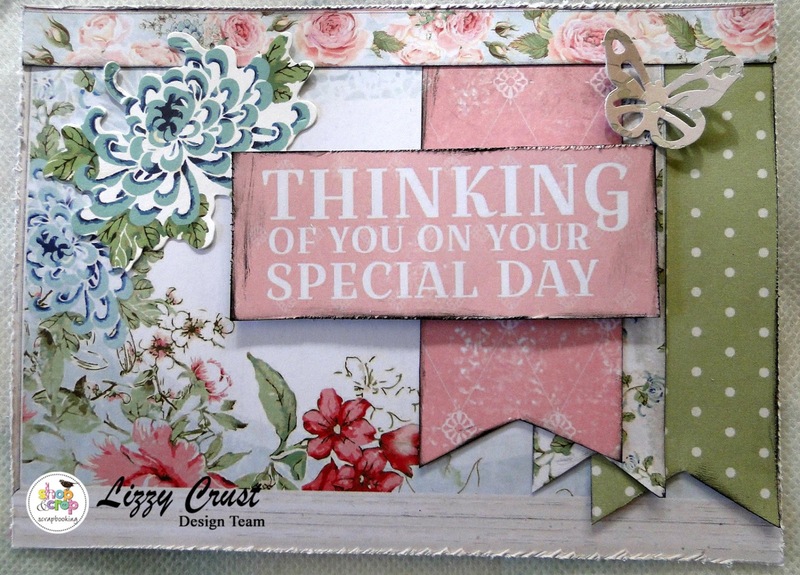 Such pretty papers and embellishments in this kit!! 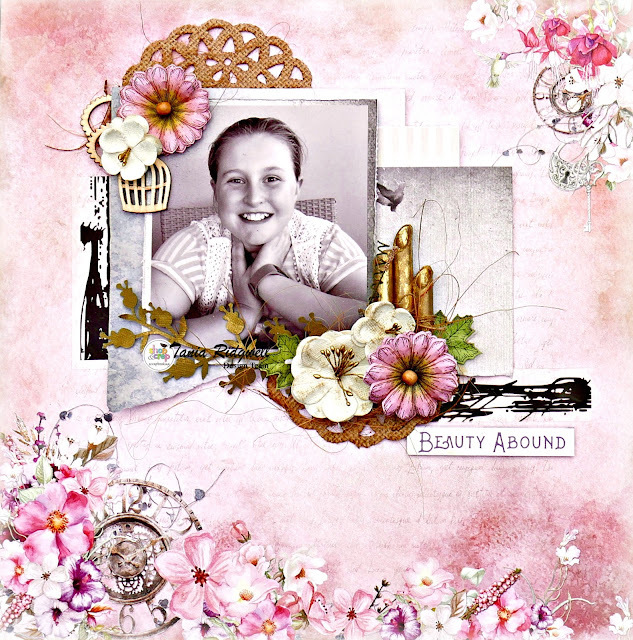 Some closer views of Layout 2. I love the gorgeous metal charms in the kit!! 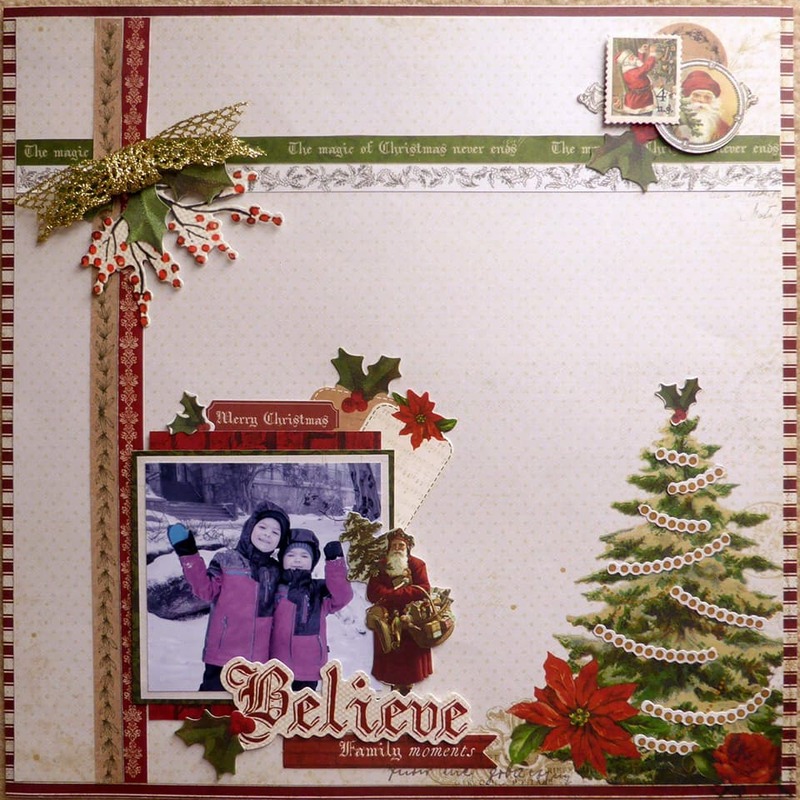 Bonus Layout 3. some closer views. 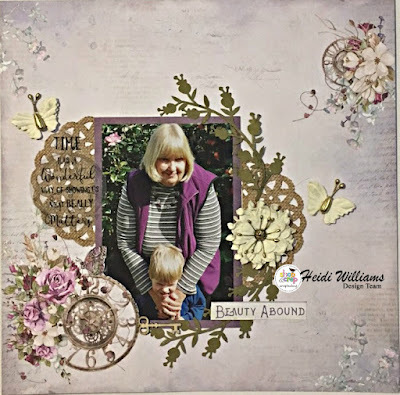 Layering of collectables in the Kit. 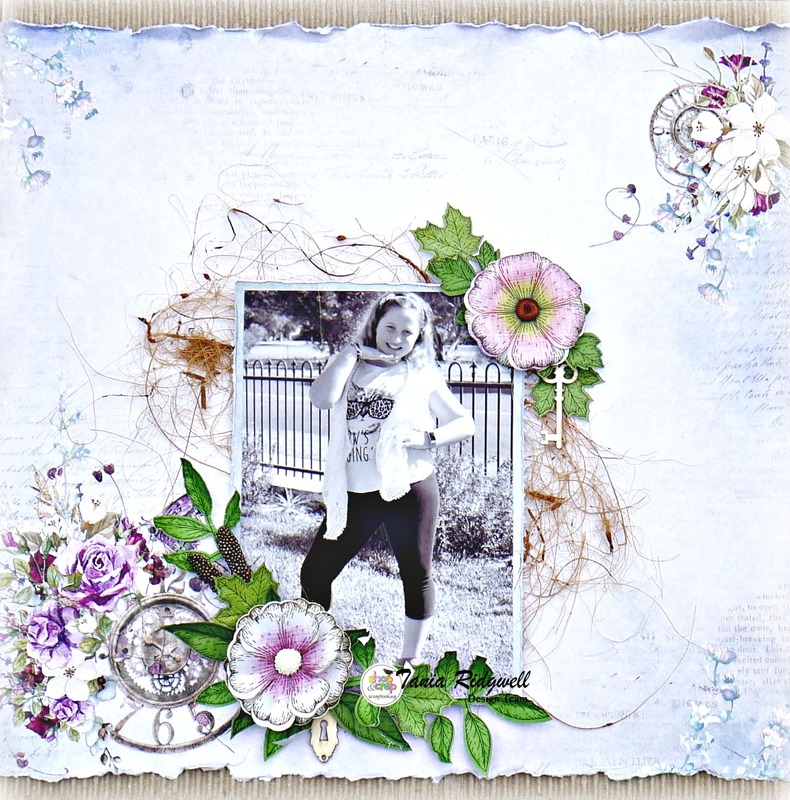 So much prettiness in this Kit!!! And I would like to share the two simple and quick cards I created with this Kit. I used a butterfly punch from my supplies, but you could pop a little flower on the card if you dont have a punch. I hope you have enjoyed the peeks at this lovely Kit available in store in October.. 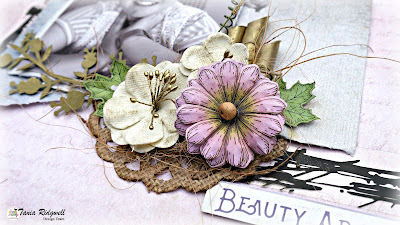 I think this is one of my favourites and I hope you will love it too.. 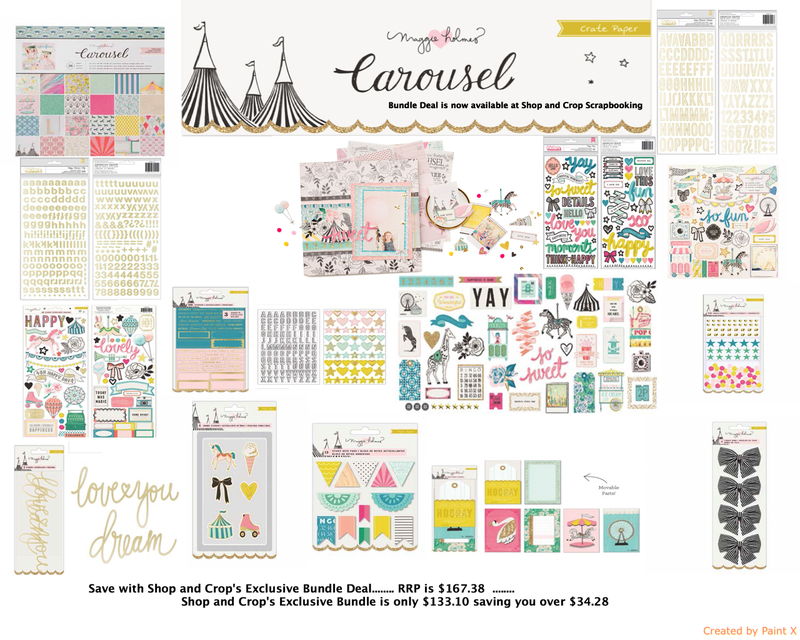 Pop over to the Shop and Crop STORE HERE to check it out. 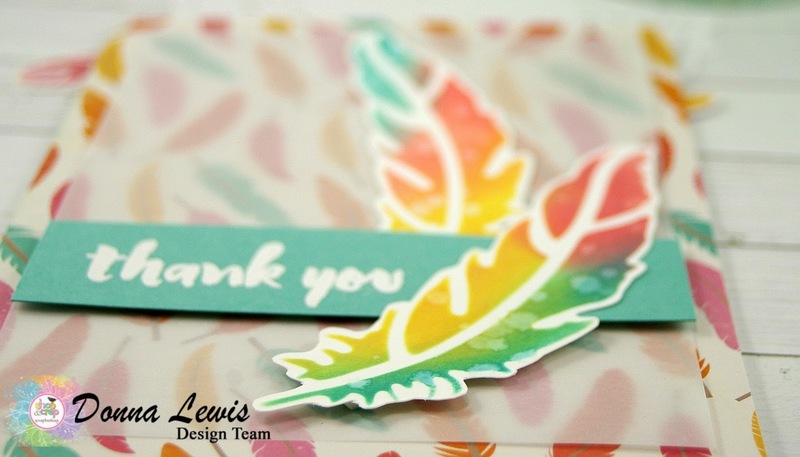 And dont forget to pop LC5 on your order for your $5.00 discount!